St. Helens Police Department investigates threat after receiving tip through digital service SafeOregon. A St. Helens High School student was arrested Friday, March 2, for making threatening statements on social media directed at the school. 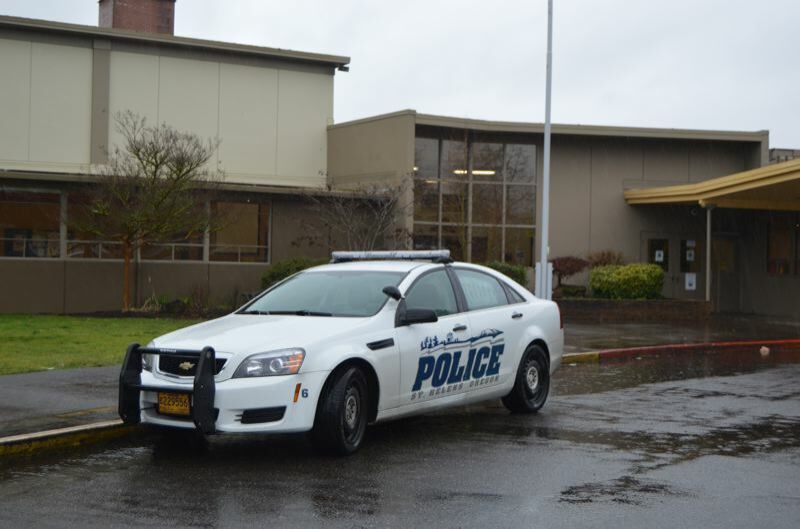 The student, who was identified as a minor female, was arrested by the St. Helens Police Department Friday after officers were alerted to the threats through an online tip system called SafeOregon. The student made threatening statements on an Instagram account, which another student then reported using an anonymous tip service. Local police were then alerted and began to investigate. SHPD Chief Terry Moss said the student who made the threat was arrested at her home, did not have any weapons in her possession, and did not have the capacity to carry out the threats. At a minimum, the student would face charges of disorderly conduct, Moss added. The girl was taken to the Cowlitz County Juvenile Detention Center. The St. Helens School District notified parents about the incident Friday. High School Principal Ted Zehr and Superintendent Scot Stockwell said the threat was not viable, but was taken seriously and investigated. Stockwell said he was frustrated by actions that seem to take advantage of heightened anxieties and concerns about school safety in the wake of a school shooting in Parkland, Florida, that left 17 dead in February. Zehr echoed similar statements in a notification sent to parents. "We are saddened by the opportunistic nature of people taking advantage of the fear and anxiety generated by recent tragic events in Florida," Zehr said. "First, please allow me to acknowledge there are currently heightened concerns and sensitivities around students' safety in school, and with good reason. We share those concerns and remain even more committed to ensuring students are safe while they are with us." "Any time there is a safety concern that involves our school, a threat assessment is conducted that involves school personnel, District staff, and law enforcement. However, please be absolutely assured we would not hold school if we had reason to believe students' safety would be at risk," the message continued. Four other St. Helens High School students were arrested this week for unrelated incidents.